We only recently discovered the dark, ambient goodness that is Goodnight Goodnight! 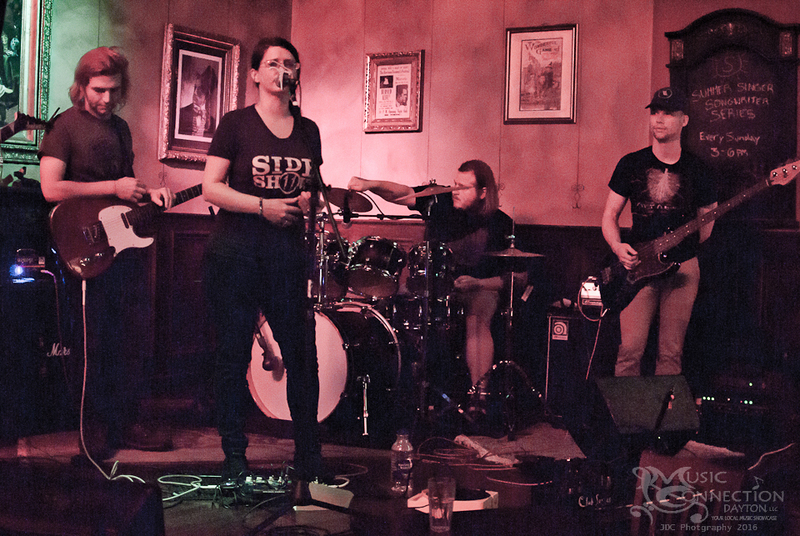 This 5-piece Indie group formed in early 2015 has been rockin stages from West Virginia to Kentucky to Columbus and more with their ambient, dark shoegaze soundwaves and clean, bright, and completely haunting vocals! They’ve already opened up for such acts as Hawthorne Heights and The Story Changes and have released a 5 track EP that we’re sure will stay with you til the end of time! We knew they’d be perfect for this showcase with their clean, sweet vocals and a lovely contrast to the sounds floating through Jimmie’s that evening! We were not disappointed, and neither was the crowd! They came out in style to support this hot, new sound! Check out the awesome pictures from the show! * All pictures copyright of Music Connection Dayton, LLC and JDC Photography & Graphic Design. Photos may be used for non-commercial purposes with attribution.